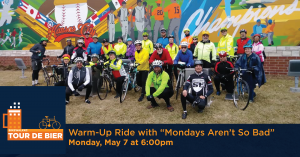 Mondays Aren’t So Bad FREE warm-up bike ride from Gregg/Klice Community Center at 18th and Vine to Chicken n Pickle. 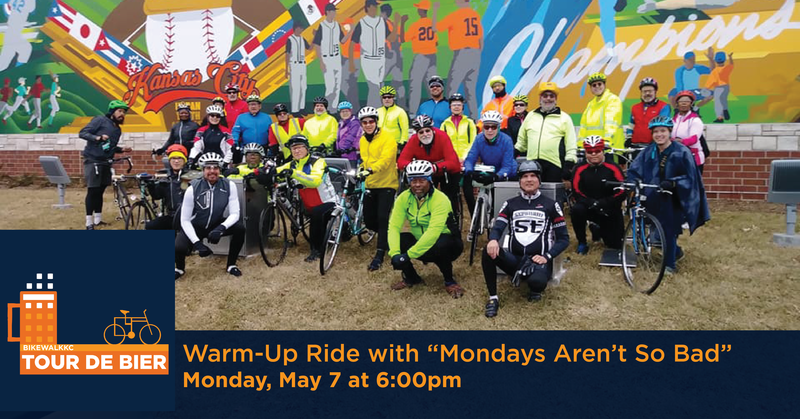 We’ll gather at 6:00pm for a casual, no-drop group ride. 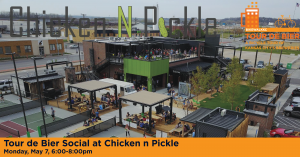 Tour de Bier Social and discounted pickleball rentals at Chicken n Pickle from 6:00-8:00pm. You can participate in ride, the social event, or both! 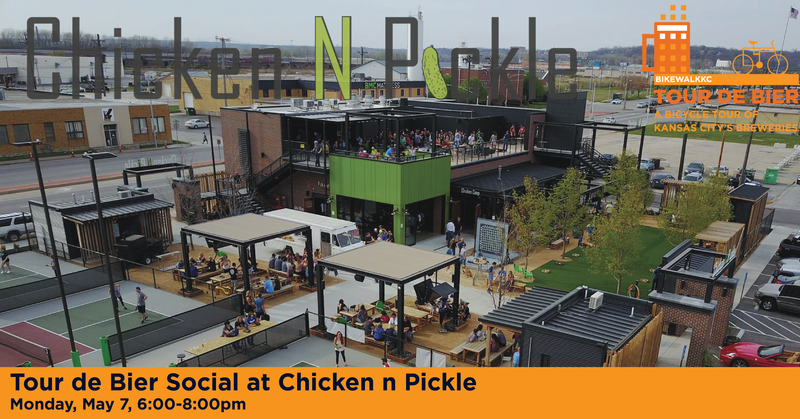 We’d love to see you there. Visit the event pages for updates and more details.